This face wash works so good. I was at my friends house in her shower and grabbed it to use. It smelt like heaven, so I put it on my face and once i had washed it off I was obsessed. I use it everyday I have a shower and I hope that you all get it. 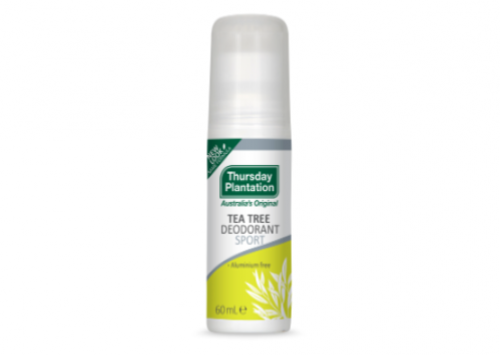 This is another natural deodorant that I love but if you are not fond of the tea tree smell then it’s definitely not for you. The scent of quite strong, which I really like. It left me feeling fresh all day, was easy to apply and you don’t need to use a lot of it to get the benefits! I brought this as I love trying more natural deodorant, I picked this one up however was disappointed by it. It smells very strongly of tea tree which seems to not go away for quite a while. I also found that it caused irritation to my underarms. It would cause a stinging type irritation and ended up not using it till the end. I will not be buying this again.